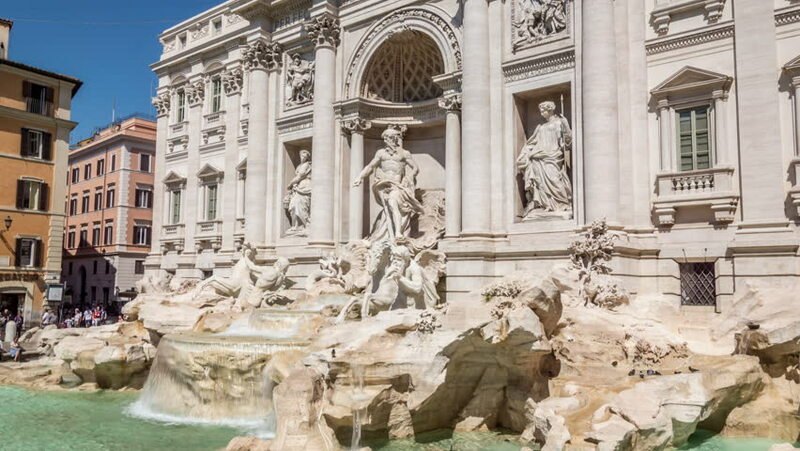 ROME, ITALY - CIRCA 2018: The Trevi Fountain (Fontana di Trevi), finished in 1762, it's the largest Baroque fountain and one of the most visited landmarks of Rome. hd00:07Rome, Italy. Trevi fountain. Wide shot.